It's that time of year again, the NBA playoffs are in full swing, and we at PCWC are closely following our favorite sports team, the Phoenix Suns, as they battle it out with the San Antonio Spurs in the Western conference semi-finals. Game two was tonight, and it was a fantastic game, and not just because the Suns took down our biggest rivals for two games in a row ("rivals" may be too kind to describe the vitriol Suns fans reserve for the Spurs, "immortal enemies" may be a better fit), but we're pleased for their actions off the hardwood. 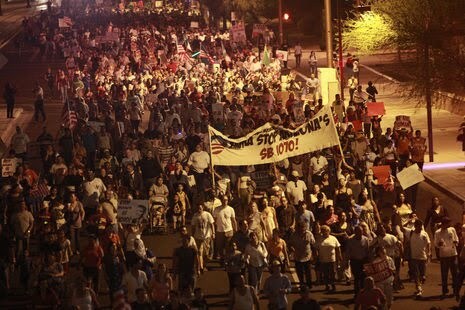 Yesterday the Suns organization came out against the racist bill SB1070, sponsored by state senator Russell Pearce, signed into law a couple of weeks back by Governor Brewer, and the focus of numerous protests locally, and solidarity demonstrations, rallies, walkouts, boycotts, and direct actions across the US. "It's hard to imagine in this country that we have to produce papers," Kerr said. "It rings up images of Nazi Germany. We understand that the intentions of the law are not for that to happen, but you have to be very, very careful. . . . It's important that everyone in our state and nation understands this is an issue that needs to be explored. So, we're trying to expose it." While the announcement came from the Suns front office, team owner Robert Sarver said the decision to challenge the new law came with the final approval from the players. The Phoenix Suns players came to consensus to wear the Los Suns jerseys, and stand in solidarity with Arizona's Latino community, a bold move in these days as the social tension is ever so present. "I don't agree with this bill, I don't agree with the spirit of the bill or the message it sends, not only to people in our community but how it represents our community across the country and the world. "I think the bill opens up the opportunity for racial profiling, racism. I think it puts the police in an incredibly difficult position that isn't fair to them. It's an infringement on our civil liberties to allow the possibility for inequality to arise in our community." "It's kind of like 9/11 comes, and all of a sudden there's a Patriot Act, just a knee-jerk sort of thing, and it changes our country, what we stand for. This law smacks of that to some degree. So, I think what he's doing . . . is very wise and very correct." To be clear, I hate the Spurs. Hate 'em. Their bad behavior in previous playoff series with the Suns was just as despicable as the notoriously poor officiating from the refs (or was it something else at work? ), but I will reach across the aisle on this, they should be commended for supporting the Suns stance. Popavich and the Spurs will show a little solidarity with AZ on the hardwood by wearing their own "Los Spurs" uniforms during one of the next couple of games in San Antonio. For those outside of the valley, I'm not saying this is a perfect political moment, we get very few of those after all, but it is a moment to build momentum from. The Suns are run by a bunch of billionaire and millionaire investors, the players themselves are millionaires, I understand that. However, the significance of this should not go unremarked by anti-authoritarians, regardless of your inclination towards professional sports. The Suns are a staple of life in Phoenix, they were the city's first professional sports club, many a Phoenician has fond memories of their grade school class receiving free tickets to Suns games at the old Veterans Memorial Collesium ("The Mad House on McDowell"), and the greatest season of all, the 92-93 team led by Charles Barkley who took it all the way to the NBA finals to challenge Michael Jordan and the Bulls. While we've been life long Suns fans, we don't mistake these acts of solidarity from the players or management with a developing anti-capitalist, or anti-authoritarian critique. 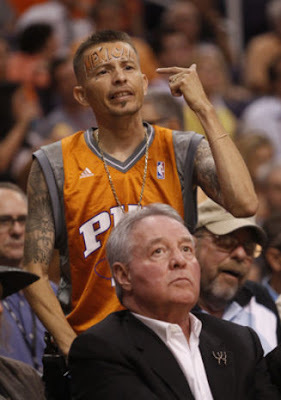 Make no mistake, we see this for what it is, this is a multi-million dollar sports franchise weighing in on the very oppressive atmosphere in Arizona, and some may be speaking up because they recognize the egregious rise in racial profiling and detentions by police, others from the Suns organization probably see a profit incentive with a future Latino audience. If, however, there is some chance of a breakthrough during this playoff run, it's will originate from the commonality that sport offers us, the sense that we are all on the same side as long as we cheer on our team. So, yes, their decision to speak out is massive, but it's no cure all, we remain certain of the ability of ordinary people organize their own lives, to struggle, and to wage war on their oppressors on their own terms. On a final note, I had a good laugh watching the evening news the other night as the racist politician Russell Pearce was interviewed by a Channel 3 reporter on his reaction to the Suns move against SB1070. Reporter: Are you surprised that the NBA and the NBA teams taking a stance like this, do you think it's their place to? Pearce: No it's not their place to. It's the rule of law, I mean, that's anarchism! Ah, "anarchism" and "anarchy", time and time again this simple utterance by a blowhard politician is intended to strike fear in the hearts of every law abiding, god fearing, immigrant hating, patriotic American citizen, but there's a catch. See, when he calls the Suns' actions anarchism, or labels anyone opposed to his brand of racist terror as an anarchist, he is effectively saying that the common sense of the society is "anarchy." By his logic what the Suns are doing is anarchism. Those who speak out against Sheriff Arpaio are anarchists. All those critical of immigration policy, or law enforcement are obviously for open borders, against the rule of law, or so the logic goes. Everyone else is the anarchist. If only this were the truth. Then again, perhaps we need not look too far. The kids are self-organizing and walking out of school, or the 90 cities across the USA had solidarity rallies against SB1070 and bills like it, are closer to the visions of a popular movement than we may give them credit for. 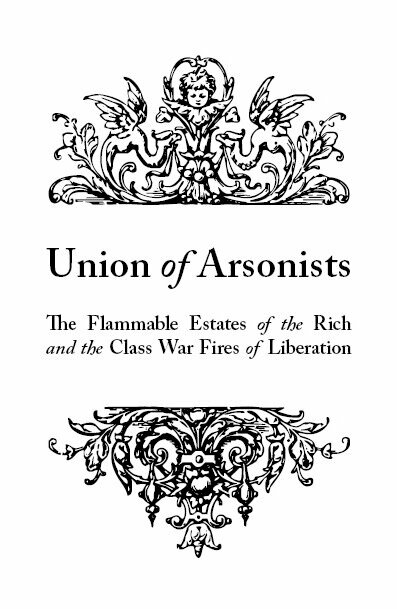 We may all be anarchists now, in the eyes of the state, or the reactionary social forces, but the challenge we still face is how we can contribute to a popular anti-authoritarian common sense. The Suns position is certainly a step forward, but also not enough, the position against racial profiling is right on, but where is the defense of immigrants, legal or not? How far will we have push the limits of the debate before the mainstream acknowledges that comprehensive immigration reform (as it's proposed now) means the militarization of the border lands, and as a direct result the lands of indigenous people divided by the border wall? 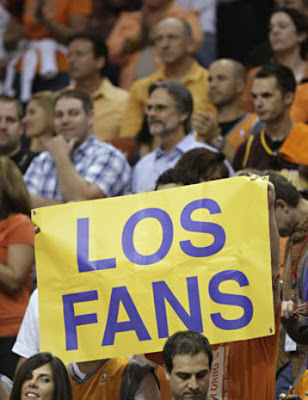 At best we can thank the Suns for opening this void, but it's up to all of us to fill it, and to keep pushing forward. Reform will never deliver freedom or autonomy. The state will never concede anything to those demanding liberties beyond its own laws and constitution. So we forever look beyond compromise and the state. No controls on movement, no borders, no militarization. It's a start. 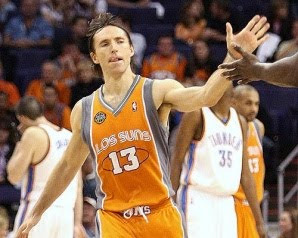 For a previous writing on our pro-Suns and anti-authoritarian orientation/contradiction, I recommend checking out the old blog of PCWC member Phoenix Insurgent for some thoughts on the Suns, anarchy and basketball, and former Suns center Pat Burke. I'd also recommend some of the writing from lefty sport writer, Dave Zirin, on this matter. Check out "A New Era: Here Come the Suns", an essay he wrote a few days back, I've posted it over on the Resistance to SB1070 blog, a little side project of ours dedicated to recording the struggles against SB1070 and other forms of resistance to controls on movement. GO SUNS! BASKETBALL KNOWS NO BORDERS! 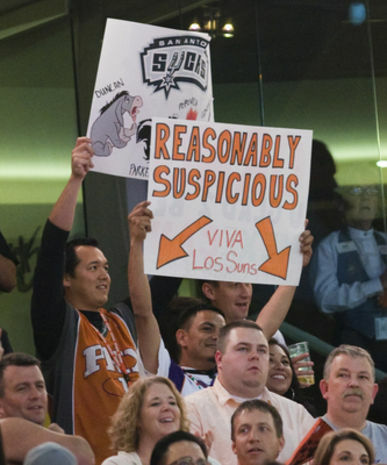 If the Suns really wanted to show their support for anti-SB1070 protesters, shouldn't they have a "No-Paper-Night" where fans don't have to show any papers, or tickets to attend the game? They should also give away free drinks and food in honor of giving citizenship to the all the illegals. Makes sense to me if the Suns' organization is really as empathetic to the cause as they claim. No... that wouldn't make any sense at all Blac. Maybe if they allowed some of the behind-the-scenes workers to watch the game without having to show papers. Free food and drinks? uh... wat?